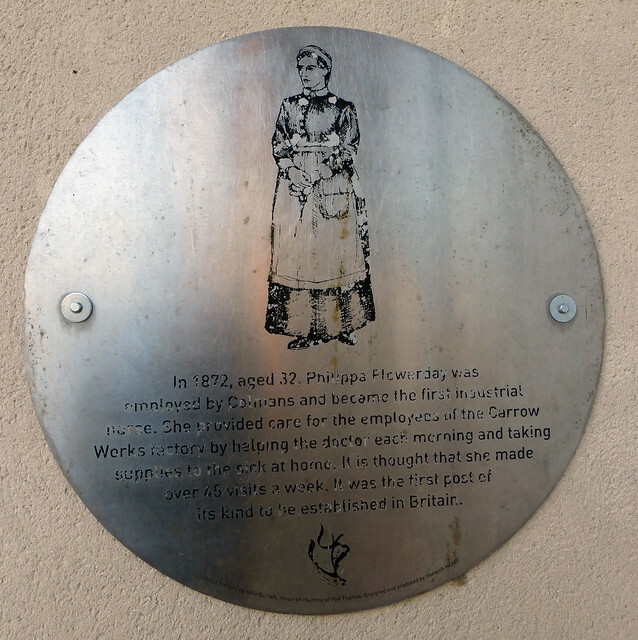 In 1872, aged 32, Philippa Flowerday was employed by Colmans and became the first industrial nurse. She provided care for the employees of the Carrow Works factory by helping the doctor each morning and taking supplies to the sick at home. It is thought that she made over 45 visits a week. It was the first post of its kind to be established in Britain.